This is a die-cut flange Zerolene Oils porcelain sign. This particular Zerolene Oils sign is black and white. 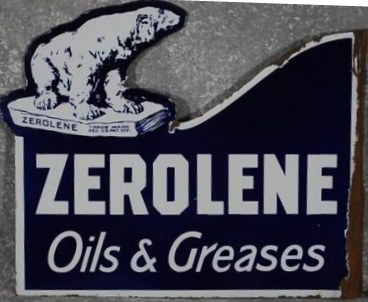 It reads, “Zerolene Oils & Greases” and features a white polar bear sitting on an ice sheet in the upper left corner of the sign.